These trinket suggestions are for the nickel slot players. Let's see some ideas for the whales! A man can only get so much joy out of watching plants grow in a terrarium. Wearers will be immune to the effects of groinkick. Ultramega Butterknife - This unassuming home appliance will allow you to cut through that thick, nasty, ugly fog of lag like a knife through butter as long as it's in your inventory. People around you will still suffer horribly. 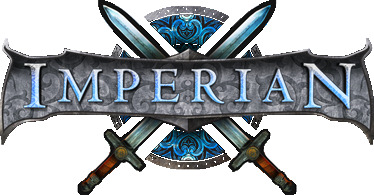 Once a month, utilizing the Quill of Fanfickshun, you may alter Imperian's storyline however you see fit. Someone trying to accuse you of making up roleplay about the Council they govern? Change that **** up, yo. You spent 600 dollars, so why the hell not? Hood of Transcendence - When worn, this garment allows you to pass through any door, locked or otherwise. Annoyed by those random houses in the middle of a bashing area, or are you just trying to explore EVERYTHING? Get you one of these. Wallet of Crushing - Place artifacts inside the wallet, then THROW it at your enemies. Deals blunt damage based on total credit value of the items inside. It's gonna look great in the quotes section next year. Wand of the Plagues - Curse your enemies with a plague of your choice, only curable by the gypsy encampment and the wand itself. Plagues could include locusts, fleas, mosquitoes, lice and tapeworms. Simply CURSE <player> with <plague> or to cure, UNDO CURSE on <player/self>. A grimy wand- Curse your enemies with a foul mouth, interrupting even the most suave conversations. Expletives are yelled at random intervals, while insults are based upon who is in the presence of the cursed player. The curse is incurable unless their mouth is washed out with soap. To use: CURSE <player> with POTTY MOUTH. To cure, simply SCRUB MOUTH WITH SOAP. A clay jug- Perform a miracle! Turn water into wine by simply FILL JAR WITH WATER. Flavors chosen at random, along with potency of said libation. We are semi working on a few new artifacts. I will have to steal a couple of these ideas. Truecopper charger - a charger that winds quicker and doesn't decay after being used. Never-ending inkwell - used in a city, citizens can use this room and sketch, ink, or whatever their little heart desires that requires inks and not have to waste any. With loshre and how fast sabres already afflict? That'd be a little excessive, I think. Considering a class like bard can double afflict in a 1.73 balance with sketches also afflicting (not to mention other classes ents smacking you while the owner's smack you harder), I think chivalry would be ok having their pet do an occasional affliction besides it's normal knockofbalance/damage/raze cycle. Justicars don't need more affliction ability. Mirroring, what's up. Runeguards don't need more affliction ability. Loshre/Nairat are both curing block mechanics that when used properly, are like the shadowplants of runelore. Delaying curing for an entire dsl balance? Yes plz. Your change doesn't effect deathknights because they don't use talons. No one will green light more affliction on deathknights because oh my god deathaura/vivisect. I don't know about you guys, but I was joking. A quicksilver earring (or other unobtrusive item that doesn't necessarily have to be worn or scream HERE I AM) - allows one to activate the "lipreading" defence. No, it should be limited to artifacts only and be limitless. Please let me unclutter my inventory. What you do, you see, is you buy multiples of them, and have a box filled with boxes filled with artifacts. Tiered Deathglory orbs - higher levels of the orb allow for the storing of and free switching to multiple approved deathsight messages. a mechanical dummy - A dummy you can use to practice any and all offense actions against. You can control and manipulate it to use things as well, but it can only attack yourself and has a cooldown if you have been fighting someone recently. Once a final 'kill' has been dealt to it, it would scatter in a mess of mechanical pieces that you would simply reassemble. It would be able to cure as a normal person as long as the plants and so fourth were provided to it, and it would be able to wear and wield anything given. Seems so-so unless it can also assume class abilities. Just make it a purchasable upgrade for cities and guildhalls. I thought dummies already were for guildhalls, you just had to ask admin? I know a couple guilds have them, at least. Some artifact that allows you to raise your defences once per imperian day without using any balances- perfect for logging in. Maybe some other usage parameter, maybe upon login. An artifact that allows you to you suffix/prefix yourself. The whole point of tokens, really, is that you can't buy them with bound credits. This means that if you want to gain tokens faster than the 2/month, you're going to have to buy them from somebody else, and this probably means paying in credits. If you could buy a token with bound credits, why bother having tokens at all?